As my copy of the book came without a synopsis, I took the English one from Goodreads. Most of you probably know The Neverending Story. I must say that I didn’t. I had picked this book up in a second hand store at one point because it looked fun. 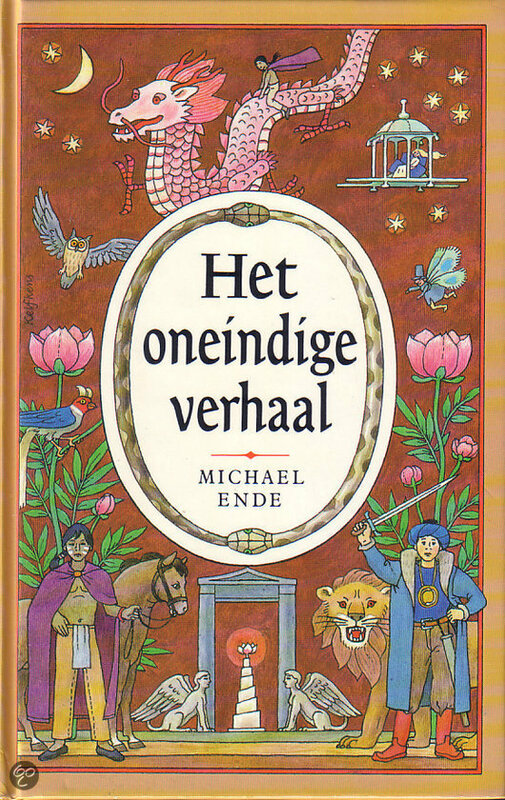 I had no idea the book I had picked up was the Dutch translation of The Neverending Story. Throughout the book, the main character gets more and more nasty, which I suppose was part of the metaphor and goes splendidly with the story. But seriously, did that kid annoy me! The best part of the whole story was the ending, when the story circles back around and some great words are said about readers. If you don’t care for the rest of the book, at least read those last couple of pages! From times, the book gets quite long-winded. Situations are discussed that have nothing to do with the main story, and will in no way be related to it, which bothers me. It makes me impatient. I just want to read this story, the one in which book I’m reading; I didn’t care for the millions of ‘that’s a story for another time’. one of my favourite childhood reads!